best Ludo fun is popular Dice Board Game, play Ludo Board Game with friends, family, kids or anyone & anywhere and became a king in ludo, play a royal game of kings with two to four players. Ludo classic King Game is for Android, in this Indian game of Pachisi target is to Beat other players and become the Ludo King, recall your childhood memories, enjoy the classic board game for free. 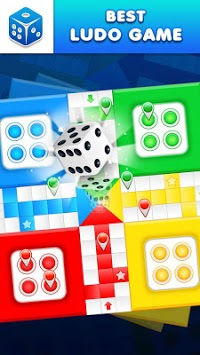 Ludo for fun is a two to four players strategy board game and is the best game to play in your phone, sharpen your intelligence with Ludo game Along with regular feature and variations gives a lot of fun, advanced game options etc. 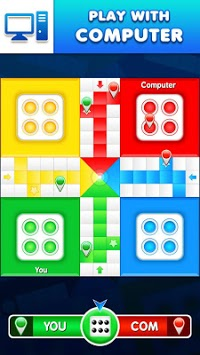 •	Ludo game free download! 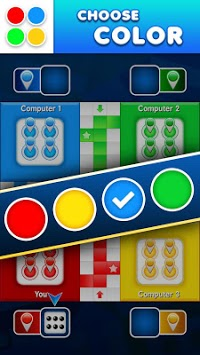 •	Play 2 to 4 Players with Multiplayer Mode. Ludo Multiplayer Game is one of the oldest known game, the classic board game with lots of strategy and planning involved, new version of this simple strategy game helps your kids to think strategically. Download original and pure apk Ludo Fun for Android traditional indoor game, play Ludo with friends, family and be a King. Bingoscapes - Lucky BINGO! Lucky YOU!